Spectracom announced today a strategic partnership with Geodetics Incorporated of San Diego, California. The partnership includes a variety of initiatives to enhance each company’s customer reach, channels, products and technology. The partnership includes a distribution agreement for Geodetics’ Geo-iNAV inertial navigation products. Spectracom will offer Geo-iNAV alongside its portfolio of precision timing, test and simulation equipment. Geo-iNAV is a fully integrated GPS-aided inertial navigation system that provides real-time, high-precision positioning and navigation solutions for manned and unmanned air, sea and ground vehicles. It combines GPS and sensor fusion to achieve centimeter-level real-time positioning and navigation for dynamic platforms. 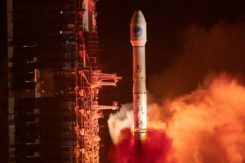 As the GNSS eco-system expands to support mission critical applications, so must the prevalence of interoperability and signal fidelity, and ultimately PNT applications must be able to withstand the temporary loss of GPS due to factors such as signal obscuration, Spectracom said. As such, contemporary GNSS signal management solutions must be resilient to various GPS impairments as required of the application. 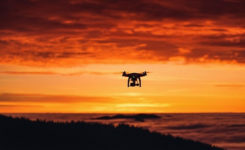 Geo-iNAV delivers this capability through six configurations. It is available in commercial as well as SAASM GPS configurations as well as a choice of IMU depending on accuracy requirements. It offers a low SWaP (size, weight and power) profile for autonomous vehicles and payloads on manned vehicles to meet a wide range of applications. 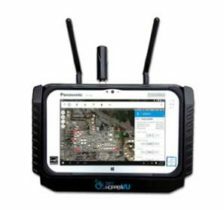 As a part of Spectracom’s broader initiative to provide a comprehensive portfolio of GNSS signal management products, systems and services, the Geo-iNAV is the first in a series of compact and rugged solutions specific to PNT applications. In addition to simplifying complexity for its customers with contemporary, modular platforms, Spectracom’s market reach, together with the technical strengths of their partners such as Geodetics will accelerate time to market and aggregate the resources necessary to support unique and changing needs for precision references, simulation and signal test and analysis.